I found some nice-looking watermelons at the market yesterday. I realize it is not quite watermelon season here in the Pacific Northwest, nevertheless, once I saw them I decided to pick one up. We were not disappointed at all because it was bright red, juicy and sweet. It is the season for mint. I have been using mint quite a bit because I have it growing as weeds around the side of my house. Here is a recipe for a refreshing fruit salad. I had this salad at a dinner party several months ago. I loved the simplicity of it and minimal list of only three ingredients. Combine all ingredients in a serving bowl. Simple. Love the combination of Feta cheese and watermelon ! i can’t think of anything more refreshing than watermelon and mint. great combo! I love this salad. Watermelon and mint are the best combination and salty feta is a perfect addition. I haven’t seen watermelon in our market yet. What a nice sounding salad. 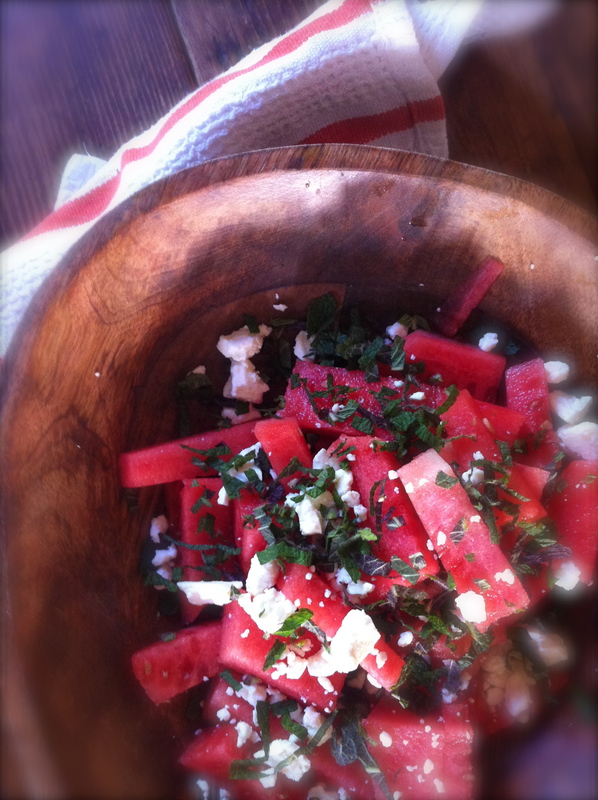 Combination of feta&watermelon&mint is so calling for summer, love that! really great and refreshing salad! nice. I have never seen purple watermelon! You enjoy your weekend as well! I love these flavor combinations — such a light, refreshing salad, especially during warmer months (which we hope to see in Minnesota again some day)! We are finally getting a few warm day ourselves over here in the Pacific Northwest. However, we never have them as cold as you do! Wishing you warm days….soon! I bet that the feta cheese and mint go very nicely with the watermelon. I enjoyed the pictures as well! 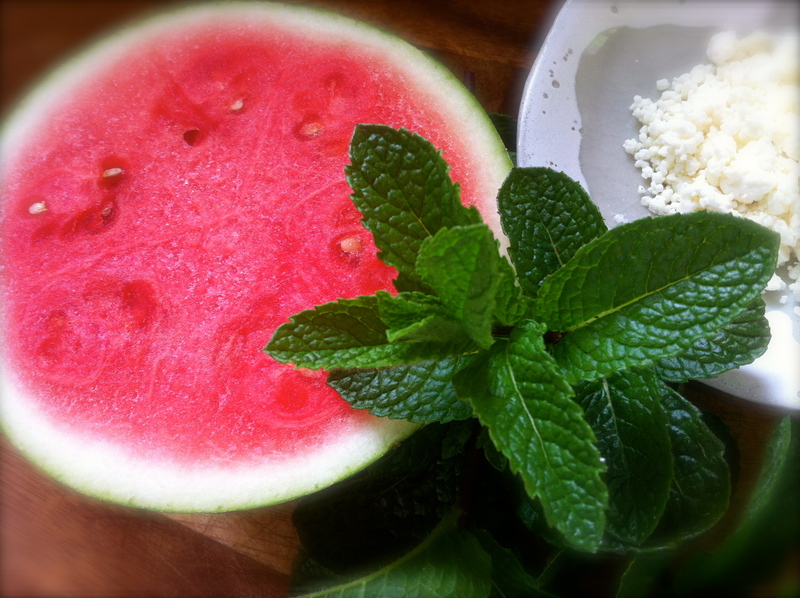 You are currently reading refreshing watermelon mint salad at COTTAGE GROVE HOUSE.